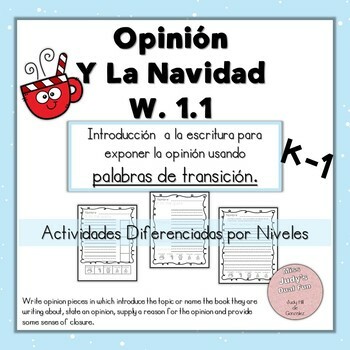 This set will help you teach opinion writing using Christmas as a theme! The vocabulary cards are great for building oracy and making sentences in small groups before writing. 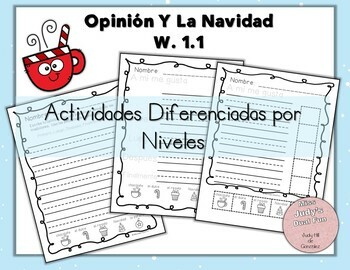 The printables are differentiated for three different levels. Your kids will LOVE this activity! The standard W.1.1 is covered easily with built-in transition words. Follow me by clicking the green star at the top my store and be notified of new products that I upload. New products are always 50% off for the first 24 hours that they are posted! It pays to follow me!